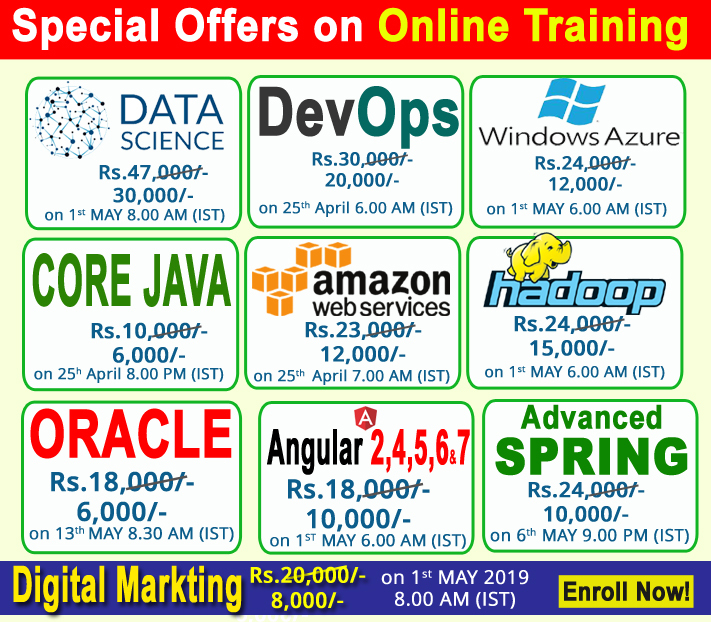 The NareshIT Software Training Institute of Hyderabad, India offers multiple training schedules to meet our student’s needs. Most of our students already have careers, work obligations, children etc., and our software training classes are designed to work well within these lifestyles. New students may start as late as the end of the first week. Late starts must be made up on Friday of the first enrollment week for that course schedule. Pay in full, and in advance of your class start date and save money.